Many welfare schemes had been designed and implemented by the previous central governments but all of them fell short of producing the desired results. To provide medical security to the poor people, the central government has implemented a new health insurance scheme called the Rashtriya Swasthya Bima Yojana. 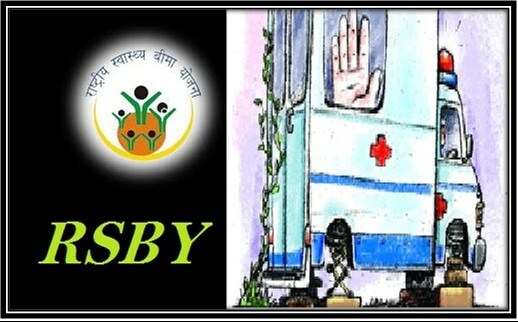 It is popularly known as the RSBY Scheme. With the assistance of the scheme, the government will pave the path of providing cashless treatment in case of hospitalization. Providing medical empowerment – It was thought that the private hospitals were way out of the reach of the people belonging to the poor sections of the society. With the implementation of the scheme, these people will be empowered duly. Now they have the option of getting the treatment at either government hospital or private institute. They do not need to worry about money. Providing better medical treatment – Due to the benefits of the program, the poor people will not be barred from receiving better medical treatment and related facilities. The implementation of the scheme will enhance the overall medical status. Giving profit to the stakeholders – The design of the scheme has been done in such a manner that the government, the private and public hospitals, the insurance companies and the poor people, all will be benefited. Insurers – The insurance companies are now considering the BPL candidates as a prospective market to gain profit. The money for the premium will be given by the central and state authority. Thus, the insurance companies are encouraging the BPL candidates in purchasing the policy. Profit for the hospitals – Due to this scheme, neither the private nor the government medical institutes will have to worry about the nonpayment of the medical bills. The government will pay the bills. Thus, the private hospitals will shy away from providing treatment to the poor people. Healthy competition between private and public medical institutes – With the implementation of the scheme, the government has become successful in engaging the public and private hospitals in a healthy competition. Thus, the people are getting better medical facilities. Advantage for intermediaries – There are many NGOs and MFIs also stand a chance a chance of acquiring financial aid from the state and the central government. These agencies always worked for providing better medical facilities for the poor. With the financial grants, they will be able to enhance their welfare activities. Using IT – The central government has utilized modern information technology for the better monitoring of the scheme. The data of the policy holder is present in the chip of the smart card. All selected hospitals have a direct link with the server of the government so that data verification can be done instantaneously. Meeting the transportation cost – Apart from the medical coverage, the authority will also provide the patient with a travel allowance. This will not be more than Rs. 1000. The money will help those who are travelling to the hospitals from remote places. Cashless and paperless procedure – The candidates, seeking medical assistance will not have to worry about depositing any money at the hospital counter during admission. The candidate will also not be bothered with the payment of bills. That is not all; there is no unwanted botheration of sorting out paperwork. The smart card will be enough. Benefit of portability – No matter from which part of the country the smart card has been issued, the policy holder will be able to acquire the benefits of cashless treatment from another part of the nation. The card and the policy are totally portable. Prevents mistakes – As the operation is based on highly integrated technology, there are no chances of any mistakes. Due to the presence of the biometric details, only the original policy holder and the selected members of the family will be able to get the cashless treatment. For getting the facility of cashless treatment, the patients need to be admitted in the hospitals, which have been listed by the government. The list will be prepared by the state government mainly. Most of the state maintained hospitals will be listed. Each state will have its own list. Thus, the patient needs to check the list before taking admission in any hospital. The list of empaneled hospitals, according to the states, will be available from the link http://www.rsby.gov.in/Hospitals.aspx?id=1. Belonging to BPL category – It has been highlighted in the draft of the scheme that the benefits of cashless medical insurance will be given to those who fall under the poverty level. Thus, people who belong to low income groups and have BPL cards will be allowed to get the benefits. Workers in unorganized sector – The pay package of the people, working in the unorganized sectors, are not very high. They find it difficult to meet the expenses of hospitalization. The scheme has been designed mainly for the workers of this section. Smart card is a must – If the insurance holder wishes to get the cashless facility, then they will have to provide the smart card at the hospital counter. Without this card, the benefits cannot be acquired. Covering five members only – According to the rules of the scheme, if one member of the family is taking the medical insurance, then it will cover the health expenses of only five members of the family. Presence of the ration card – It is mandatory that the applicants have their ration card during submitting the application form. Those who do not possess the ration card will not be able to enroll under the scheme. During the launch of the scheme, it was seen as a program that will also provide benefits to those who fall under the poverty line. During the initial years, the welfare program was implemented in 25 states only. As time passed by, around 36 million households were brought under the umbrella of the scheme. After 2014 or so, the central government made some necessary amendments in the plan and brought other sections of people under the beneficiary list as well. After the changes were finalized, the domestic assistants, rickshaw pullers, sanitation workers, railway porters, taxi and auto drivers and street vendors, who belong to the APL category, were also included in the scheme. Aadhar card – The presence of the Aadhar Card is a must. The applicant will have to provide the unique code in the application form. It will assist in doing the verification by the authority. Ration card – As it has already been mentioned, the applicants will also have to provide a photocopy of the valid ration card with the application form. BPL certificate – As the scheme has been targeted towards providing cashless medical facilities for the poor and needy section of the society, the presence of the BPL card is a must. Income certificate – The applicants will also have to provide an income certificate with the registration form. It will support the claims that have been made by the applicant. Insurance Coverage – It has been mentioned in the draft of the scheme that each of the registered candidates and five more members of the family will acquire a medical insurance coverage worth Rs.30,000. Time span of the insurance – The insurance cover will be valid for one financial year only. To continue getting the cashless medical treatment benefits, the policy holder will have to renew the card on a yearly basis. Amount required for renewal – The central and the state government will provide the medical insurance premium. The beneficiary will only have to pay an amount of Rs. 30. This amount will be used for renewal of the card. Mode of Payment – The payment for meeting the medical expenses will not be done in cash. All payments will be done via the bank account. The government will transfer the insurance money to the account of the insurance company and the company will in turn; transfer the required amount into the account of the enlisted hospital, where the insured person is admitted. Premium Amount – The premium amount, that needs to be paid on a yearly basis, is Rs. 750. The beneficiary need not worry about the payment of the amount. The state government will pay 25% of the premium while the central government will pay 75% of the premium and the cost of the smart card. Cashless transaction – No one knows when a medical emergency will come up. Not all will have the required money at hand to meet the medical bills. The best part of the scheme is that the policy holder need not bother about arranging money for the treatment. All medical treatments will be provided without any prior payment. This is the benefit of cashless facility. As most of the BPL and APL members do not have the knowledge to operate the computer, the central government has kept the option of offline registration only. The interested candidate will have to reach the enrollment centers in their area and collect the application form. Once the form has been filled manually and the required documents have been attached with it, the person will have to submit the application form at the enrollment center itself. How to register under the scheme? Before providing the benefits, it is important that the government prepares a list of the individuals who fulfill the eligibility criteria. The list will be prepared by survey agencies in all areas and BPL families will be marked. Once the list has been prepared, it will be transferred to the office of the insurance policy companies, which have been selected by the authority. It will be the responsibility of the policy agents to approach the BPL candidates and encourage them to get the medical insurance policy. It will be the responsibility of the insurance company to make a list that will mark the villagers who will take the policy. Accordingly, dates will be fixed and the registration centers will be established in the respective area. In case the area is located far inland, the insurance company owners will establish mobile enrollment camps. On the day of enrollment, all interested candidates will have to come to the registration centers. They will have to produce their ration cards. The agents will use the machines to record the biometric data of the candidate. Once the fingerprints have been scanned and photographs have been taken, the agents will issue the health policy card, also called the smart card to the candidates. It will be done by getting the card printed via a special printing machine. The biometric details of the candidate and the family members will be stored in the chip. The policy holder needs to pay a sum of Rs 30 for getting the card. As soon as the payment has been done, the agents will hand over the health policy card, user booklet and other documents to the policy holder. The entire process will be carried out in a synchronized manner and thus, it will not take more than 10 minutes or so. The central government has decided to provide a smart card to all the people who have taken the insurance under the RSBY. The smart card is like an identity card for getting the advantages of the medical insurance policy. The card has a chip instated in it. This chip contains the details of all the members of the family and the head policy holder. The details of the family members will be linked with their biometric details. The smart card is the only pass that needs to be carried during hospitalization. It will assist the officers, both at the hospital and the insurance company, to verify the details of the policy holder. It is the one pass that will meet all documentation and verification related requirements. The card will have to be renewed every year. Once the interested candidate fills up and submits the application form, it will be sent to the respective department. As all the procedure will be completed in the enrollment center itself, the agents will have access to printing machines. The smart card will be printed then and there and will be handed over to the policy holder. What if it is lost? Misplacing the smart card is not uncommon. If the policy holder has lost the card, then he/she will have to get to the office of the insurance company. The insurance company will be able to replace the lost smart card with another one. For this, the policy holder will have to submit a written application, stating the present scenario. Only one smart card will be provided per family. The smart card will be issues in the name of the person who has taken the medical insurance. It can also be issued in the name of the head of the family. The photograph of this person will be printed on the card. There is a chip, inserted in the card that will contain the photographs and personal details of other members of the house as well. Once any member is hospitalized, the card will be verified by the hospital authority and assistance will be provided. The policy holder or any of the family members will need to provide the smart card. The process of claiming the benefits is very easy and fast. The moment any insured person or any covered member of the family is being hospitalized in any of the empaneled hospitals, the smart card needs to be shown to the hospital authority. They will get the data scanned and if everything is in place, they will start the medical treatment of the admitted patient. The patient party will not have to bother about paying the bills. The hospital authority will send the admission documents and other treatment related documents to the insurance company. The officers of the insurance company will check the papers and transfer the money directly into the registered account of the hospital. It is obvious that the central government will have to shell out huge amounts of money to make this scheme a success. Providing medical insurance to all the families, which fall in the eligible group, will not be an easy task. A whopping amount of Rs. 1100 crores was spent during 2012 – 2013. It has been estimated by the government that it will require around 3300 crore to provide medical insurance to all eligible candidates, living within the borders of the country. The medical insurance policy will be able to assist the central and the state government in extending a helping hand towards the poor and the needy. With the worries of the medical burden gone, the people belonging to the BPL category will be able to take a sigh of relief.